Jeff, a.k.a. Ninjalicious, passed away on Tuesday, August 23, 2005 at age 31. Over the past year, he had been battling a failing liver and an incurable cancer. 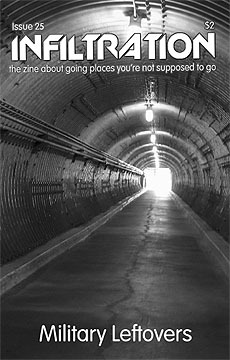 Jeff was a long-time creative force in the Toronto zine community. As a teenager, under the moniker Milky Puppy, he and his friends began publishing YIP Magazine, well before any of them knew what a zine was. 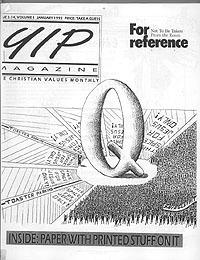 He eventually became the sole driving force behind YIP Magazine, releasing it periodically, ending its 14 year reign with the recently released issue 34 – ironically but likely intentionally themed Health and Wellness. In life Jeff shunned fame, and would often turn down media requests in order to prevent over-exposure to his favorite hobby. 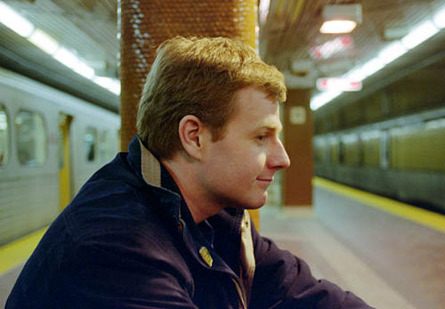 When he did do interviews, it was to promote a more societal acceptance of urban exploration. Because of the nature of Infiltration, he could conveniently deflect fame to his explorer persona: Ninjalicious. In 2002, Jeff received a much needed liver transplant, extending his life by several years. After the transplant, Jeff could be found at zine fairs hawking YIP and Infiltration, but also promoting organ donation. Those wishing to honour his memory, can do so by taking the steps to become an organ donor. Jeff would undoubtedly be pleased to know he positively affected other people’s lives through this amazing gift. Jeff had a keen sense of wit and the absurd and a love for life. Some of his other projects include Cloney Time, Urban Oasis and the Unofficial Coke Homepage. 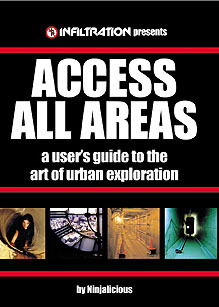 Jeff survived long enough to see the first copy of his book in print: Access All Areas: a user’s guide to the art of urban exploration. It is due to be released this September. Jeff has had a wonderful impact on society. Along with the legions of zinesters and explorers, it is said he has influenced events such as Doors Open Toronto and Manhunt. Jeff is survived by his wife, Liz, who poured all her love into him, his family, his friends, and the tens of thousands of urban explorers everywhere.